DRaaS SRM (EMC Recoverpoint + VMware SRM) is a block level replication technology between two geographically diverse Evolve IP availability zones. 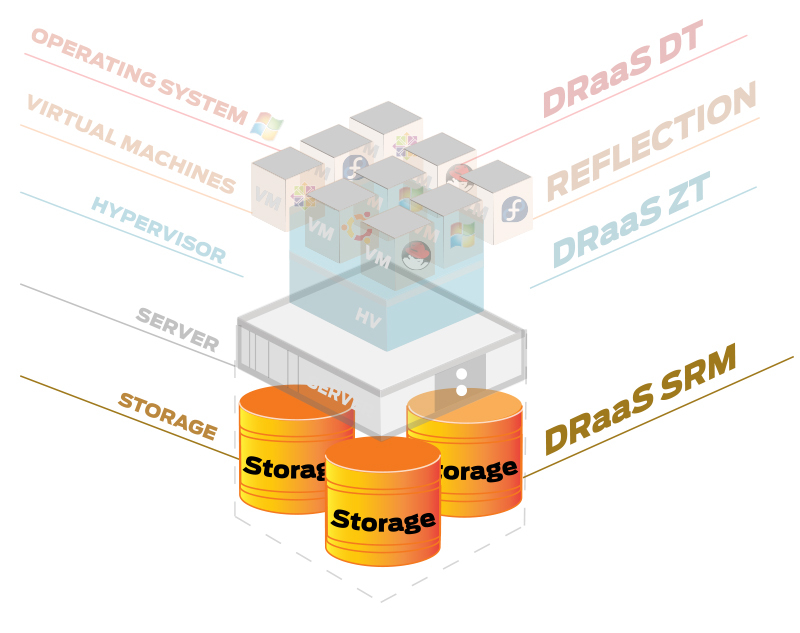 DRaaS SRM guarantees that data is synchronized in near real time and can be accessed quickly in the event of a disaster. This SLA-based offering provides the most robust protection and point-in-time bookmarking within a given protection window. Allows for isolated Disaster Recovery testing during the work day without impacting production. Available between Evolve IP availability zones. Provides a SRM-managed failover solution – controlled by Evolve IP Cloud support. The Premium Edition provides 4 hour RTO, near real time RPO and requires a 25% reservation fee for recovery resources in the secondary availability zone.